In building various types of houses, you must first determine the type of architectural style of the house used. In the case of making a minimalist garden on this narrow land, it is clear that you carry a minimalist home design. 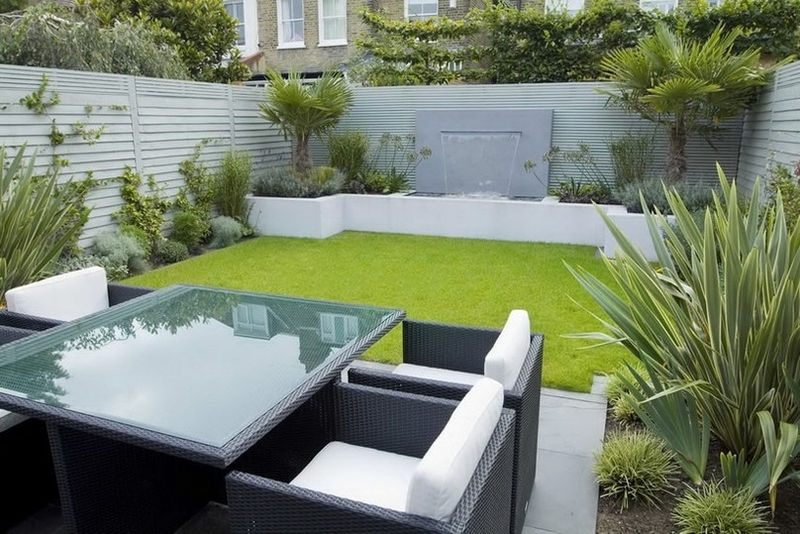 Therefore, your garden design also needs to adjust to a simple minimalist house. A good park is a garden that provides continuity between the inner space and its outer space. Therefore, before going to make a garden, first determine the garden design that suits your taste and funds. In addition to determining the appropriate garden design, you also need to choose the type of home plant and the type of flower for the garden to be used. You need to know that not all plants can grow well in different climatic conditions. The type of plant chosen also needs to adjust to the climate of the residence, as well as the soil conditions in the house garden. As tips for choosing plants, don’t just choose one type of form. But mix with various other plants, ranging from color harmonization, plant shape and so on. That way the view of your home garden will become more attractive. Because the available garden land is very limited, you need to be careful in anticipating this. One way that can be done is to use a combination of vertical system patterns or with a horizontal system. Vertical systems are usually with plants arranged upwards, whereas horizontal is the opposite. For vertical parks, one example is a vertical garden. You can read how to make a vertical garden bag system, how to make a vertical garden with a carpet or how to make a vertical garden from a paralon. If you use a horizontal system, you can also use the available land to grow vegetables such as eggplant, leaf spices and so on. For that, you can use other supporting tools such as aluminum shelves, concrete flower pots and so on. Not only choose the type of plant that will be used, but making minimalism in a narrow area must also consider the decoration that will be used. This decoration can be a small aquarium, statues, flower vases, garden lights and so on. But choose a decoration that fits the theme and size that is not too big. Given that there is not so much land available. Certain types of plants will require high maintenance costs. Therefore, so that the expenditure does not swell, choose the type of plant that does not pay too much maintenance costs. An example is orchid flowers, which can help improve the aesthetics of your garden. Home gardens will certainly not be complete if not covered with garden grass. There are various types of garden grass that you can use. There are two popular types of grass that are often used in homes. First is Japanese grass, which in terms of aesthetics is very beautiful. how to plant Japanese grass and how to care for Japanese grass is also not difficult, you know! For the second type of grass, is a mini elephant grass whose beauty is no doubt. How to care for mini elephant grass is also easy to do. Both types of grass are indeed very popular. To find out which type is the best, you can read the reviews in Japanese grass vs. mini elephant grass.